If you are someone who frequently deals with a number of problems like joint pain, backaches, or headaches, it’s likely that you have looked for a number of solutions to take away your discomfort. However, if you have only been looking for medicinal remedies, you may have overlooked one of the best options available to you. Chiropractic care is a wonderful way you can ease the pain that these unexplained symptoms cause. The best part? This treatment is a holistic, non-invasive option that has been proven to treat a number of conditions. Continue reading below to find out all of the benefits there are to receiving chiropractic care at Revelation Chiropractic in Fort Collins! When we talk about chiropractic care, there are a number of definitions that are acceptable and accurate. According to the World Federation of Chiropractic, the meaning of chiropractic medicine is, “A health profession concerned with the diagnosis, treatment and prevention of mechanical disorders of the musculoskeletal system, and the effects of these disorders on the function of the nervous system and general health. There is an emphasis on manual treatments including spinal adjustment and other joint and soft-tissue manipulation.” Plain and simple, chiropractic adjustments are beneficial to a person’s entire body. How Do Chiropractic Treatments Work? Based on their symptoms, patients will receive a specific adjustment from their chiropractor. These adjustments work because they help to place your body in a position that gives it the ability to heal itself. As a holistic and alternative approach, chiropractic treatments are used to not only reduce the stress that is put on a person’s immune system, but it helps to free up energy that can be used to prevent diseases. Chiropractors take this holistic approach extremely seriously. They know that their entire profession revolves around the idea that the body is able to heal itself. They are simply there to aid in your healing. Additionally, chiropractors know the ins and outs of your anatomy so that your adjustments are always safe so that you are able to better heal. Since the basis of the entire nervous system is that every cell and organ in the body is controlled by it., chiropractors place the majority of their focus on the spine to ensure that it is properly aligned. When the spine shifts and is out of the proper placement, adjustments can be a quick and easy solution to get you back to feeling like your normal self. Why Should You Get A Chiropractic Adjustment? 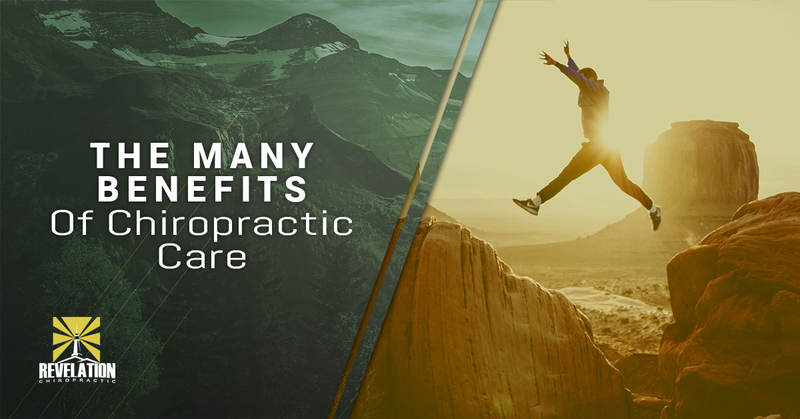 Over time, there has been plenty of research conducted regarding the positive impact chiropractic care can have on the people who receive it. Don’t believe us? Check out the following information regarding how chiropractic care can benefit a multitude of different issues in the human body. When you compare chiropractic treatment with other back interventions, there aren’t many that can work more quickly to provide back pain relief the same way that chiropractic adjustments can. In fact, according to the European Spine Journal, a clinical trial they spearheaded resulted in them discovering that chiropractic adjustments had a 72 percent success rate when it came to treating symptoms that are associated with sciatica. When looking at alternative treatment options, they found that physical therapy only has a 20 percent success rate and that getting corticosteroid injections only worked for about half of those who were treated. There have been many studies that look at the effect chiropractic care can have on people who are experiencing neck and back pain. When it comes to the results, they are almost always overwhelmingly positive. In one study, 96 percent of patients who received chiropractic care due to neck pain said they were either “satisfied” or “very satisfied” with the care they received. Chiropractors very often help their patients with getting rid of both tension headaches and migraines. In fact, other than assisting with relieving back pain, people most commonly see chiropractors for this reason. When suffering from these types of headaches and choosing chiropractic care as the solution, patients not only see a reduction in the intensity of the pain, but they also are likely to see the frequency of these headaches decrease. If you are having symptoms that you think may be able to be solved or at least lessened over time by chiropractic care, it’s time to call your local Fort Collins chiropractor. At Revelation Chiropractic, we will do everything we can to eliminate your symptoms and get you back to feeling like your normal self. Contact us today to make an appointment.